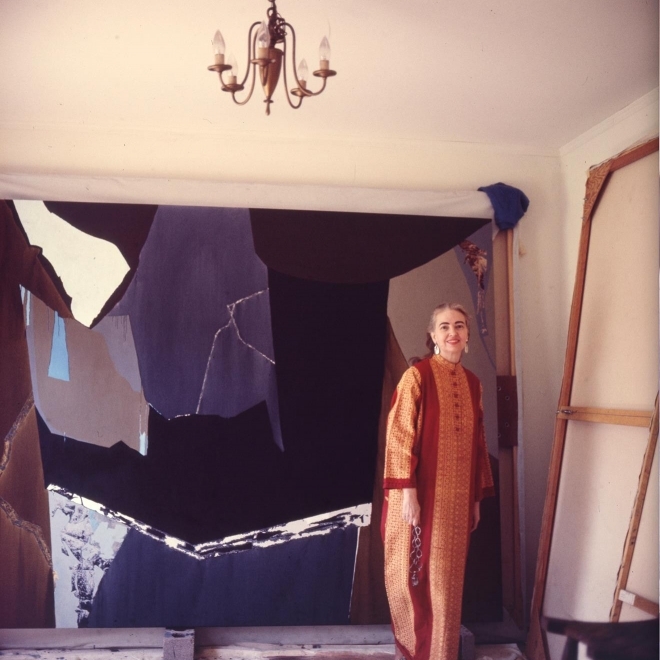 McClain Gallery is honored to announce its representation of the artwork of one of Texas’ most important 20th century artists, Dorothy Hood (1918-2000). 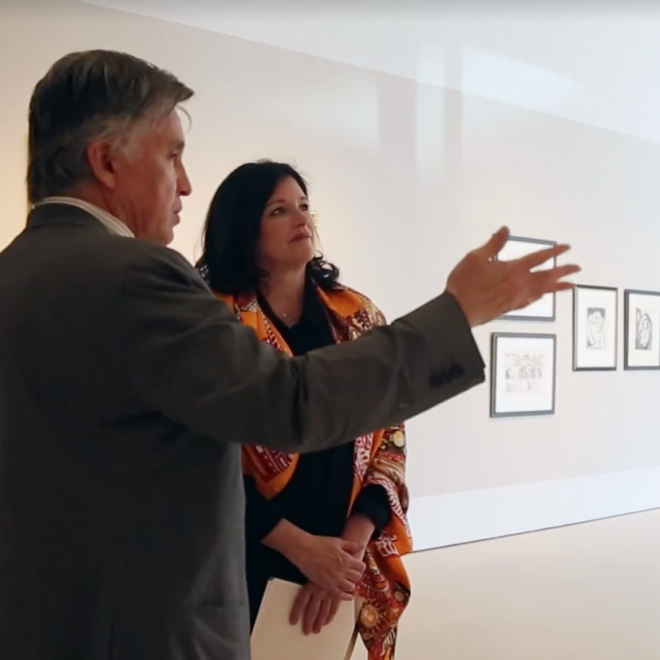 In conjunction with the Art Museum of South Texas (AMST) and its holdings of works by the artist, McClain Gallery will represent the AMST’s goal of preserving and promoting the legacy of Hood. 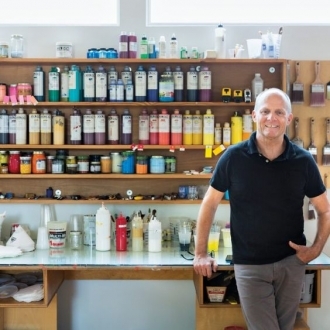 A Houston artist makes big waves in the art world with his signature bold and colorful style inspired by California's surf culture. 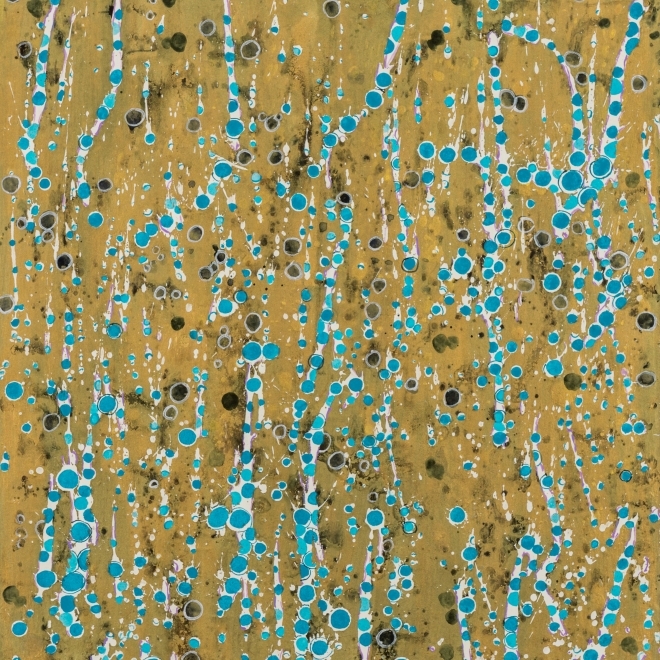 "But it’s the hikes that most inform Tolbert’s paintings, large-scale canvases that lately feature multiple discs of paint: moons of swirling acrylic, earthy and iridescent." HOUSTON CHRONICLE REVIEW OF KARIN BROKER'S "LOVE ME, LOVE ME NOT"
"Her labor of love may look nostalgic on the surface, but she's no pushover." 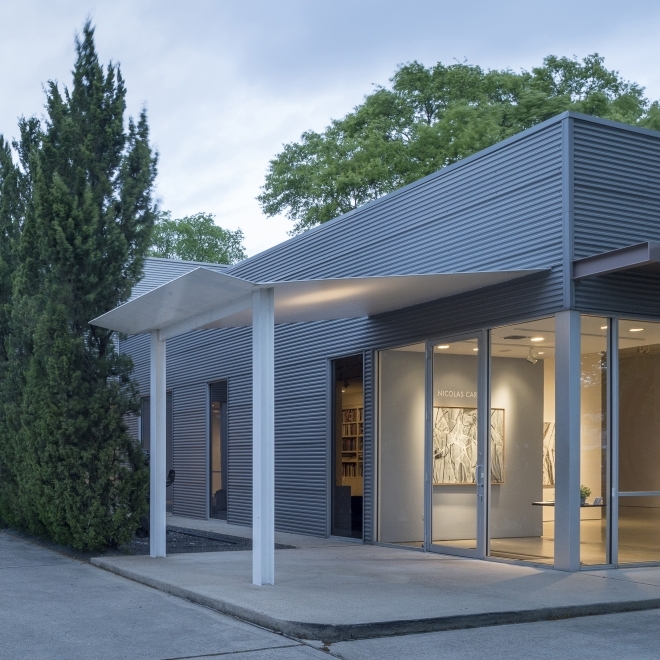 “Houston Offers a Wonderful Reprieve For Artists”: Gallery Chat with Robert McClain, Leading Art Dealer in Houston. 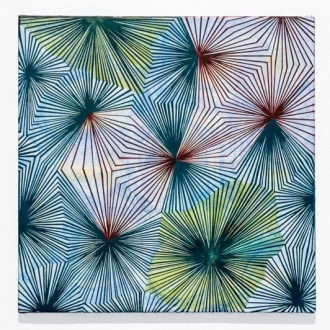 Design's pollination of art is always an intriguing subject. 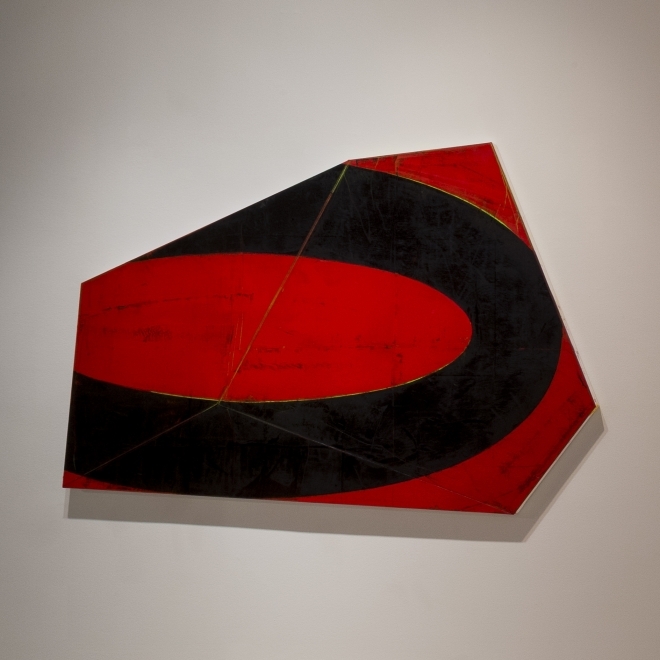 Now McClain Gallery presents and exhibition that spans generations of artists, spun around a central figure from French architecture: Marcel Gascoin (1907 - 1986)..."
This past weekend the Cantor Fitzgerald Relief Fund distributed money to nearly 5,000 Houston families effected by Hurricane Harvey. We were very proud to help raise money for the fund and want to thank all our wonderful artists & collectors who contributed. In observation of the holidays we will be closed Saturday, December 23rd and Saturday December 30th. McClain Gallery wishes everyone love & warmth this holiday season. 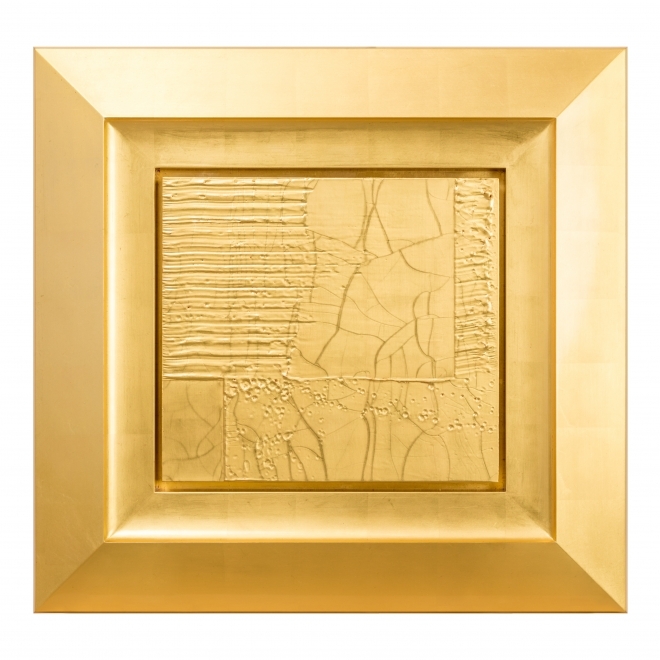 Image: Christian Eckart, Craquelure Detail Painting #1, 2017, 23 karat gold leaf on birch panel and unique aluminum extrusion, 26.5 x 27.5 x 2.5 inches. 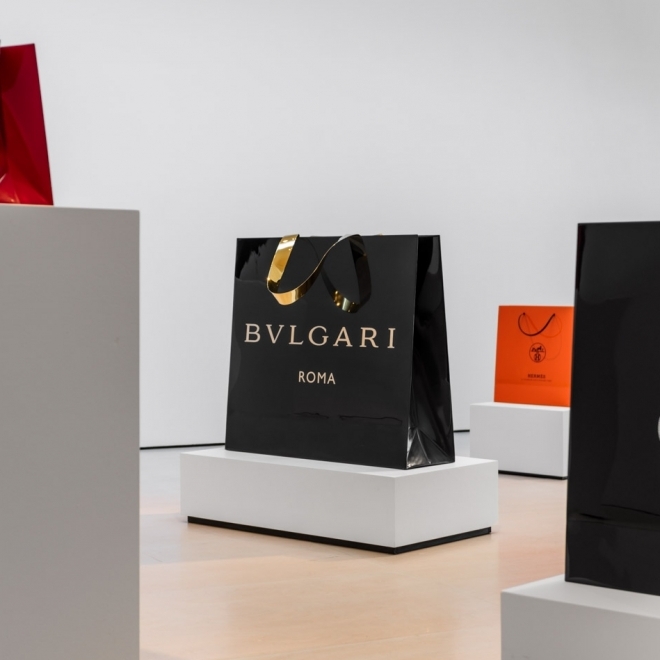 At McClain Gallery, Jonathan Seliger incorporates luxury brands into his lustrous shoppingbag sculptures that evoke the experience of going on a spree at Bulgari, Tiffany, & Co., Prada, Valentino, or Chanel. 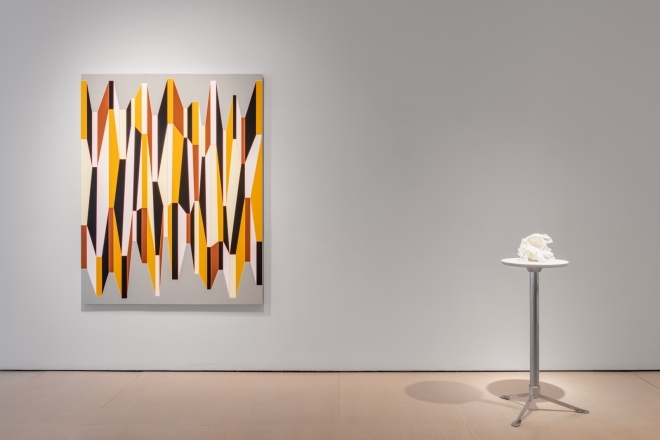 McClain Gallery is pleased to announce Sotheby's first charitable, online-only auction to benefit the Cantor Fitzgerald Fund for Hurricane Harvey Relief. 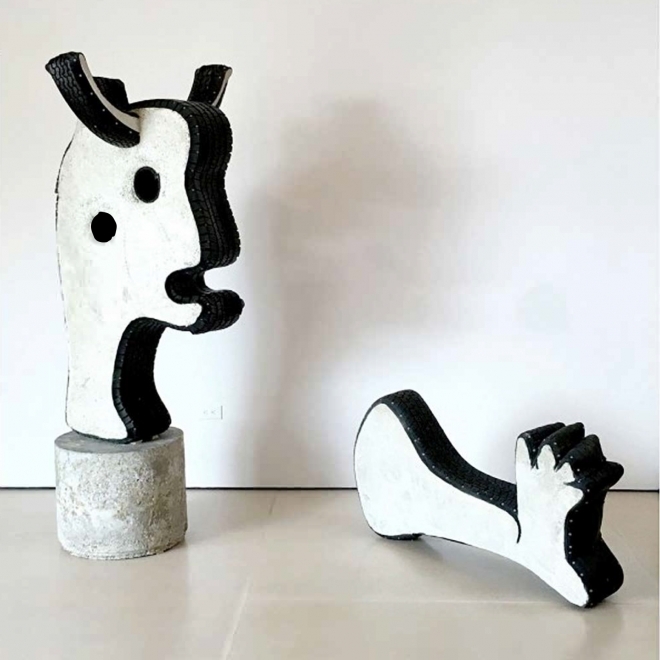 This online-only auction showcases an exciting and diverse range of property including works by local Houston artists. Works in the sale have been generously donated by artists and other galleries from all over the country. All sale proceeds will benefit the Cantor Fitzgerald Fund for Hurricane Harvey Relief and will be generously matched by Cantor Fitzgerald. 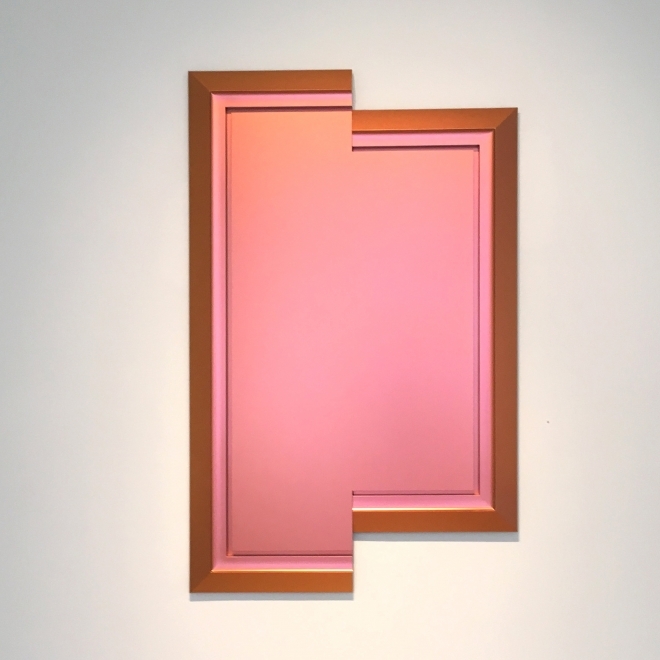 Our participating artists include: John Alexander, Donald Baechler, Juan José Barboza-Gubo & Andrew Mroczek, Larry Bell, the Bruce High Quality Foundation, Seth Cameron, Gisela Colon, Christian Eckart, Katsumi Hayakawa, Mara Held, Giles Lyon, Ray Smith, Shane Tolbert, Kelli Vance, and Bernar Venet. Sale goes live Wednesday, October 18 at 11am CST. 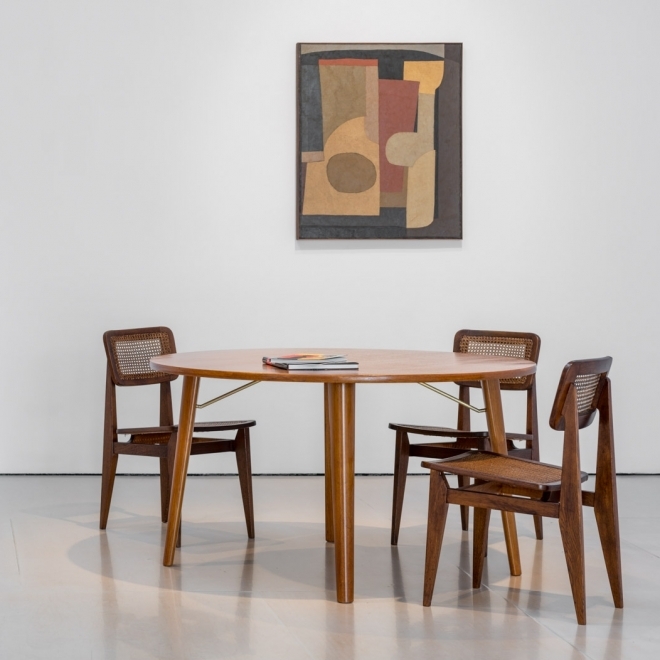 McClain Gallery will be hosting a preview of top lots from Sotheby's upcoming Fall auctions. 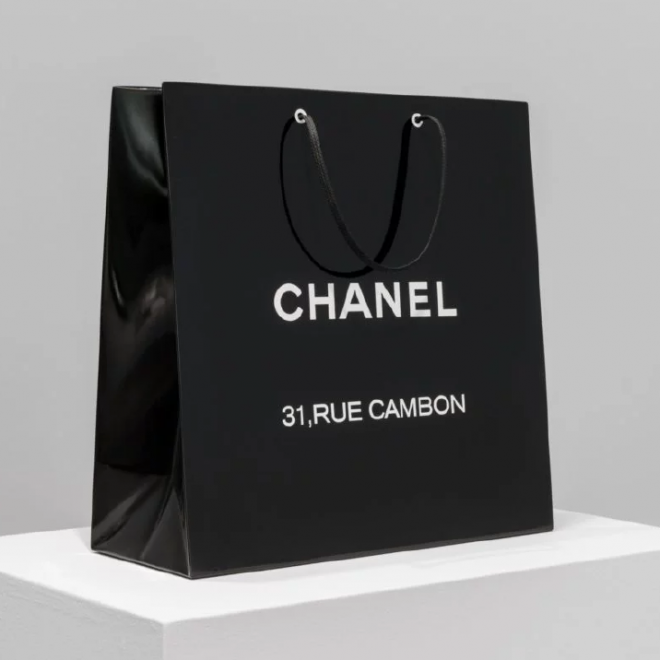 Selections will include works from the Contemporary, Latin American, American and Jewelry departments. The preview is open to the general public and will begin at 10am. 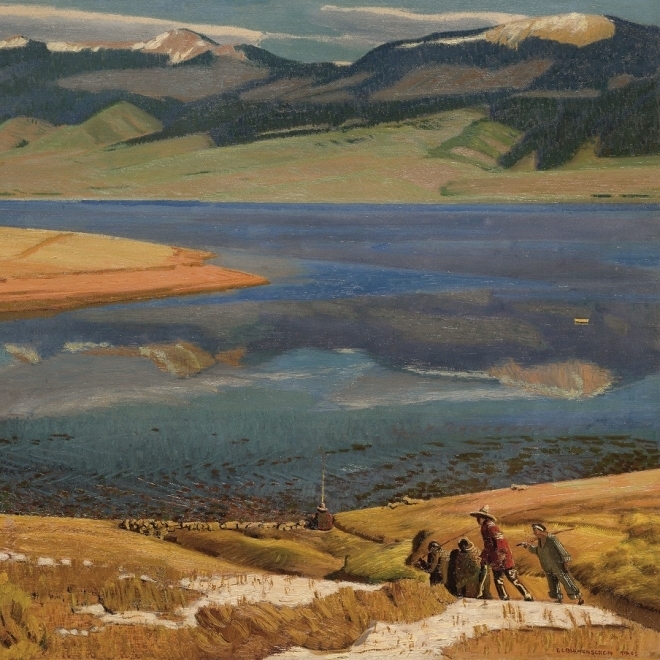 Image: Ernest Leonard Blumschein, Eagle Nest Lake, 1933. McClain Gallery is proud to announce that we will begin raising funds to directly benefit families impacted by Hurricane Harvey. 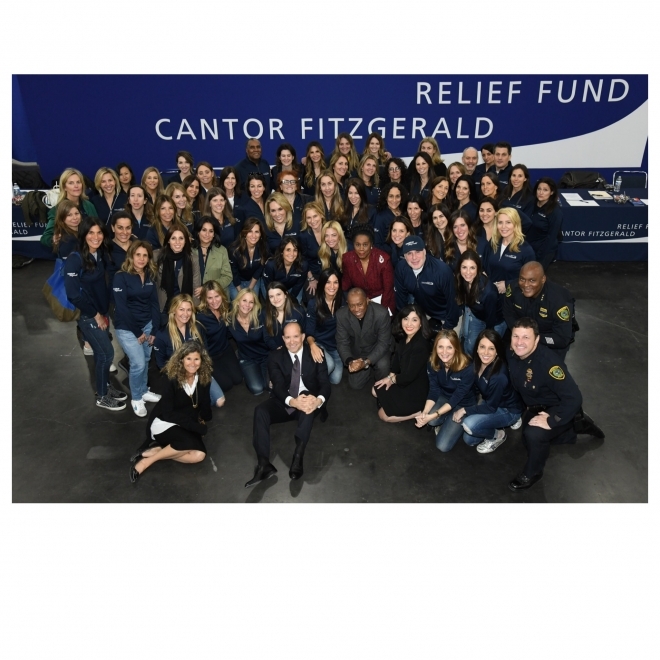 In the coming months, we will be hosting several benefit events with all proceeds going straight to the Cantor Fitzgerald Foundation's Hurricane Harvey Relief Fund. The first of which is an online auction of donated artwork that will be sold through Sotheby's, begininng Wendesday, October 18th. 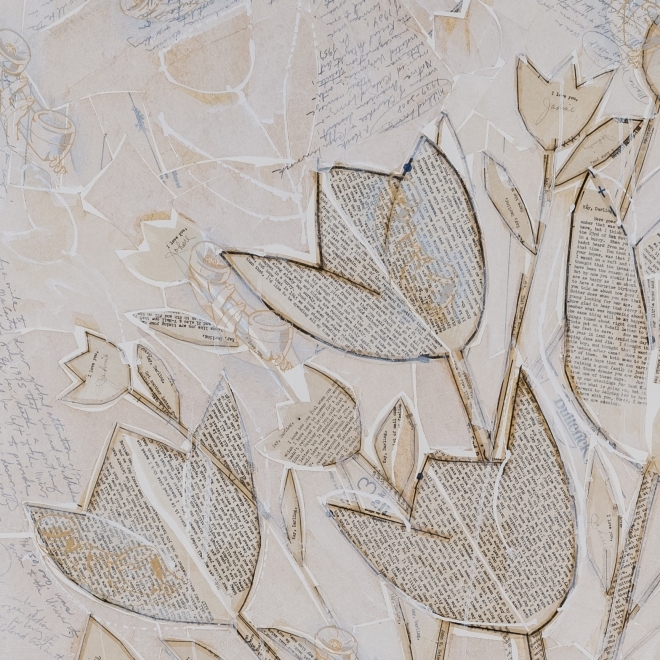 A preview of donated works will be on view Tuesday, October 3rd in the gallery. This very worthwhile foundation was started in the the wake of 9/11 as a way to help families effected by acts of terrorism, catastrophes and natural disasters. CFF did amazing work for communities in Moore, OK and those affected by Superstorm Sandy. We also encourage anyone wanting to help to contact us or consider donating directly to the relief fund, as 100% of donations are distributed to the people in need and will be matched, dollar for dollar, by the Foundation. With their assistance and outreach, we are very much looking forward to helping our city begin the healing and recovery process. 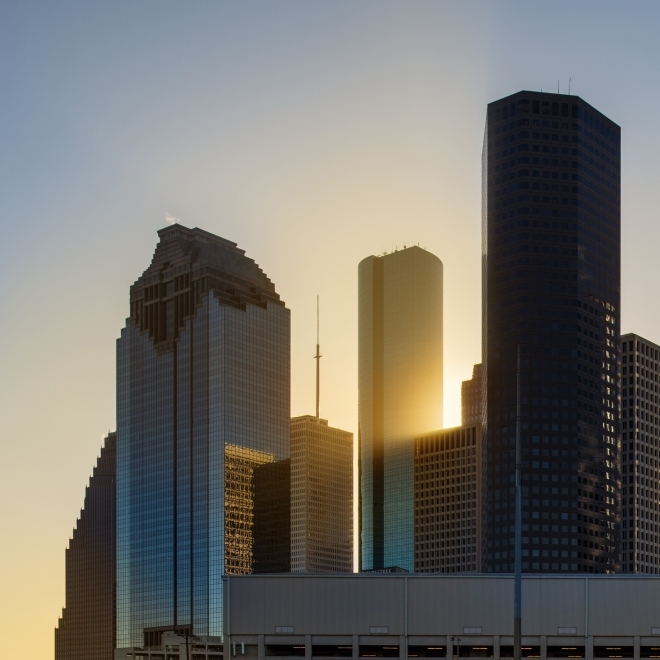 McClain Gallery sends our sincere thoughts and prayers to everyone recovering from the catastrophic effects of Hurricane Harvey. We are grateful to report McClain Gallery and staff are safe and sound. We will return to normal business hours Tuesday, September 5th. Until then and in the months ahead, should you need anything, please don't hesitate to contact us and we will assist as best we can. The magic of the eclipse lasted just a few minutes. Mara Held's paintings could keep one's eyes busy a good bit longer, and maybe provide the sensation of walking in cool, northern woods. He held three paintbrushes of different sizes between the fingers of one hand as he spoke, deftly dipping the brush in his other hand into puddles of red and blue paint and swiping them onto a metal plate. 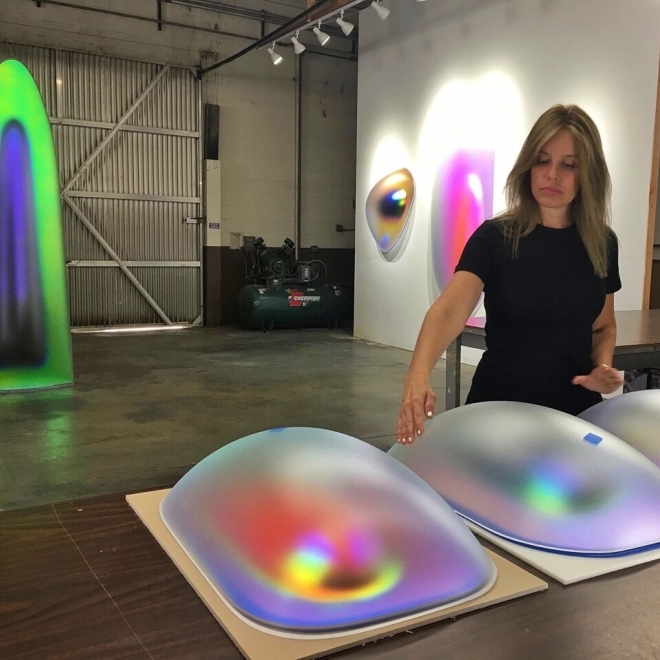 It looks like it could burst and give birth to an alien at any second, though the heavenly color that emanates from one of Gisela Colon's big, luminous pods hints at more peaceful intentions. 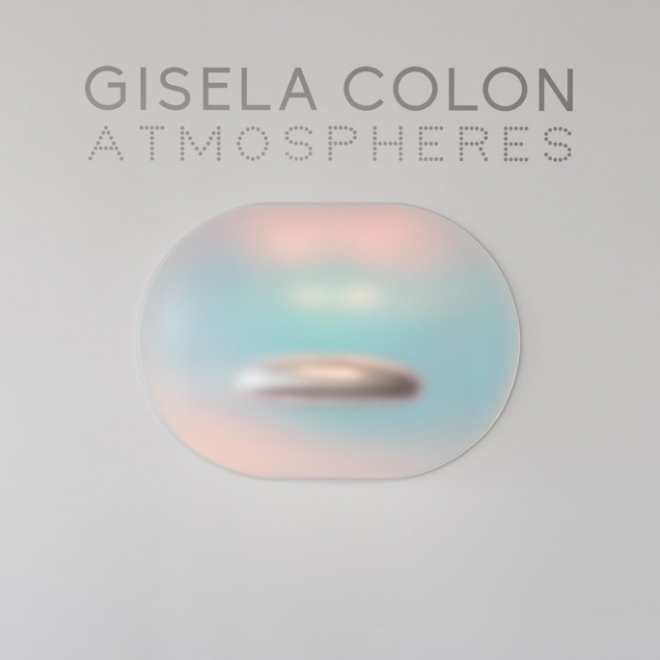 Interview with artist Gisela Colon and a brief introduction to her newest body of work. 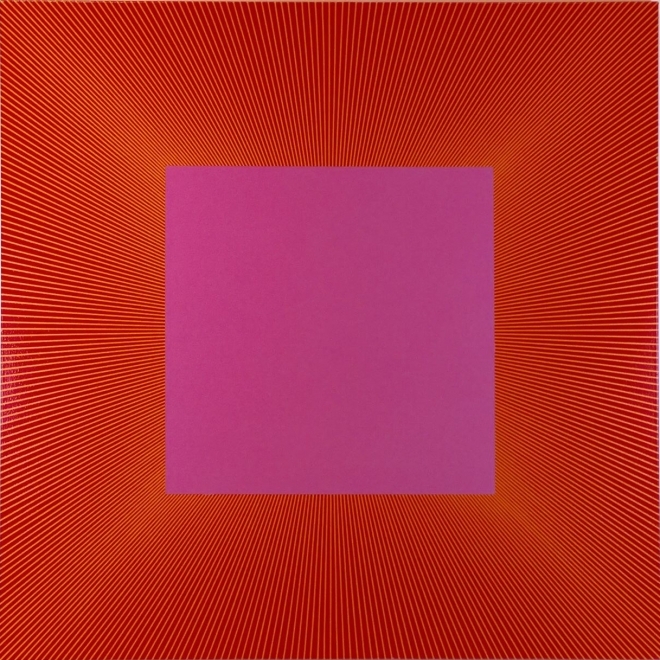 As one moves around the pieces, each tuned to a different vibration in colors and feel, one can see the subtle changes within the blow-molded acrylic that show forth both a luminous glow and thoughtful mystery. 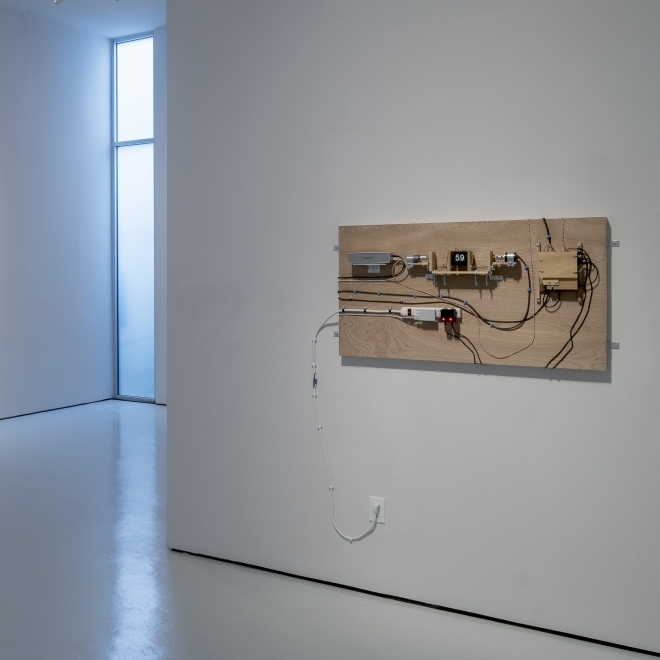 These works aspire to be the opposite of fixed and static; they are shape-shifting, non-linear, non-specific objects. Working from a vocabulary of minimalist geometric forms, Colon achieves glowing, timeless objects of beauty. 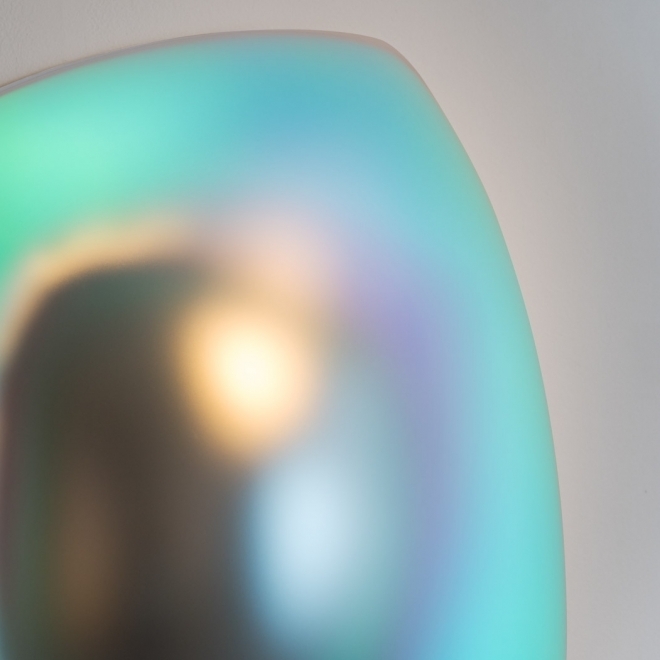 These wall-mounted sculptures effervesce with light effects, due to special surface treatments that shimmer across and within each blow-molded acrylic pod. Designed for the lobby, it winks at a signature feature: the alluring green spaces. 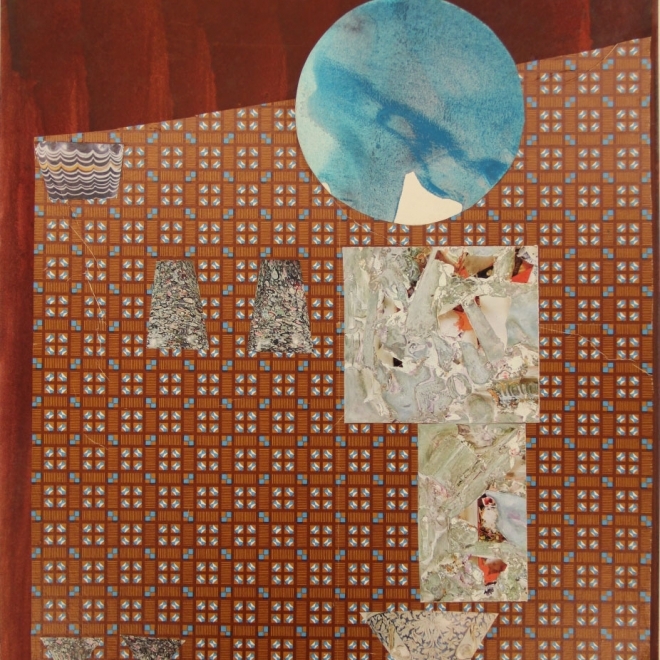 McClain Gallery is delighted to announce that John Alexander has been invited to work at the Rice University Printmaking Studio. 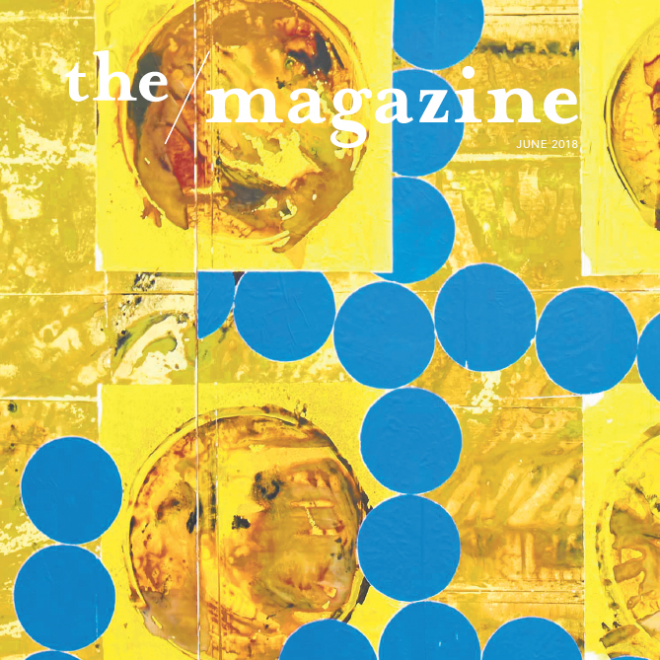 Over a period of three days in late March, Alexander will work alongside Patrick Masterson, Master Printer at Burning Bones Press; Karin Broker, Professor of Printmaking at Rice University and Patrick Palmer, Director of MFAH’s Glassell School of Art and accomplished printmaker, to create a series of monotypes at Rice’s state of the art printmaking studio. During set visiting hours, the public will have the unique opportunity to interact and observe as Alexander paints the plates and prints are pulled by Masterson, Broker and Palmer. 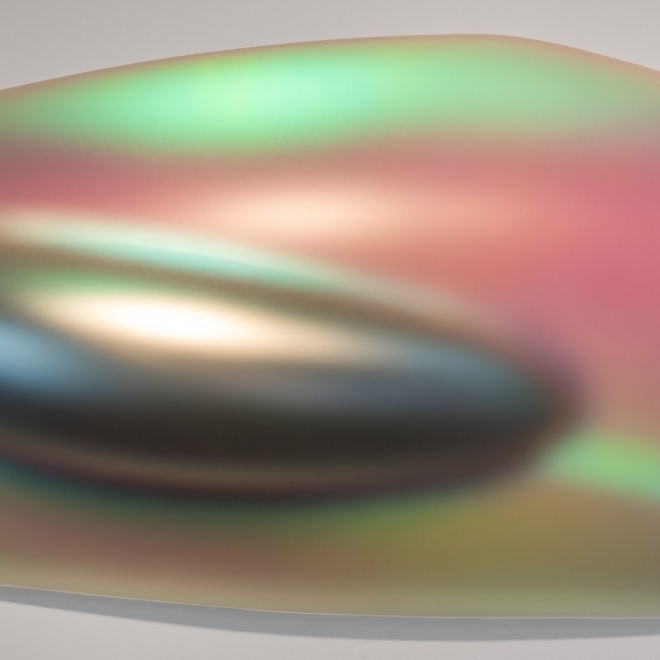 Gary Lang's tondos vibrate with optical intensity. They are powerful, hypnotic, exuberant and psychedelic. 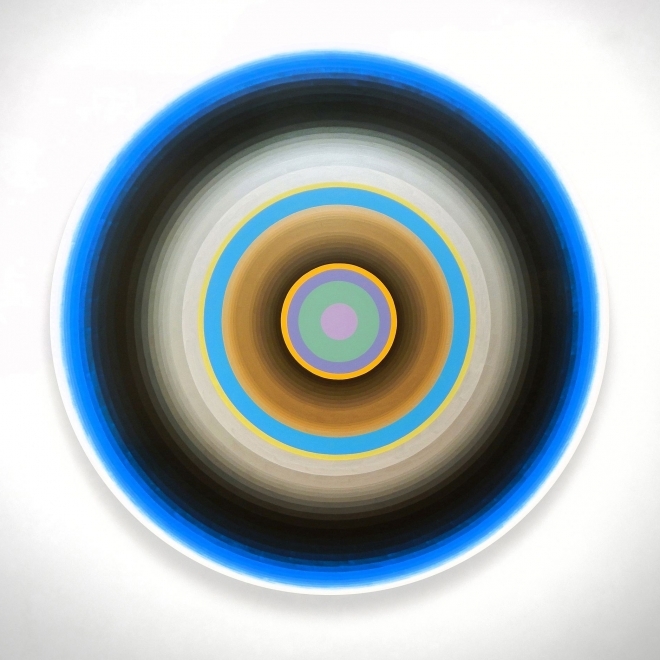 Lang is a superb colorist who has been creating these circular paintings for nearly 30 years. 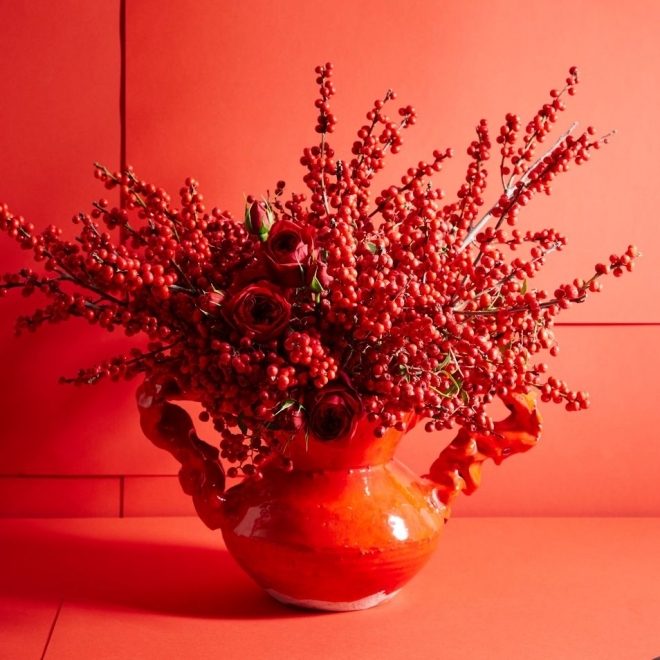 He attributes his color choices and combinations completely to chance, insisting that they are largely unplanned beyond a preliminary color palette. 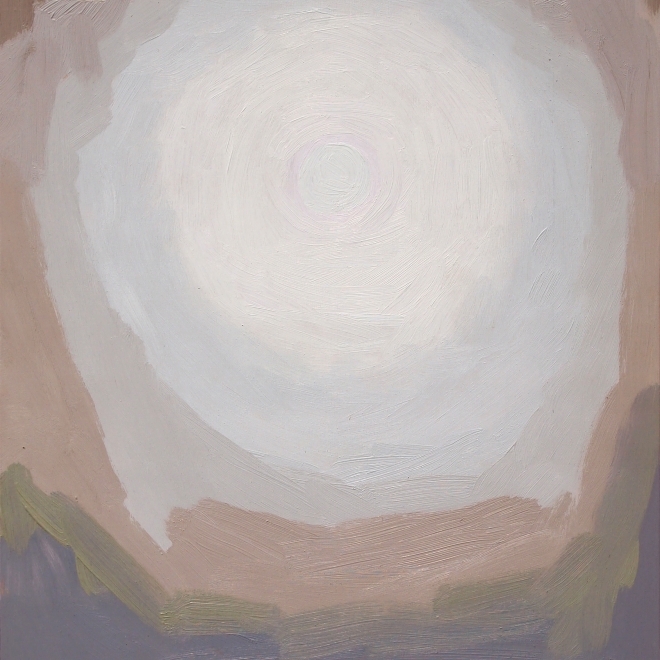 Lang prefers, however, to speak about where the act of creating these paintings takes him. 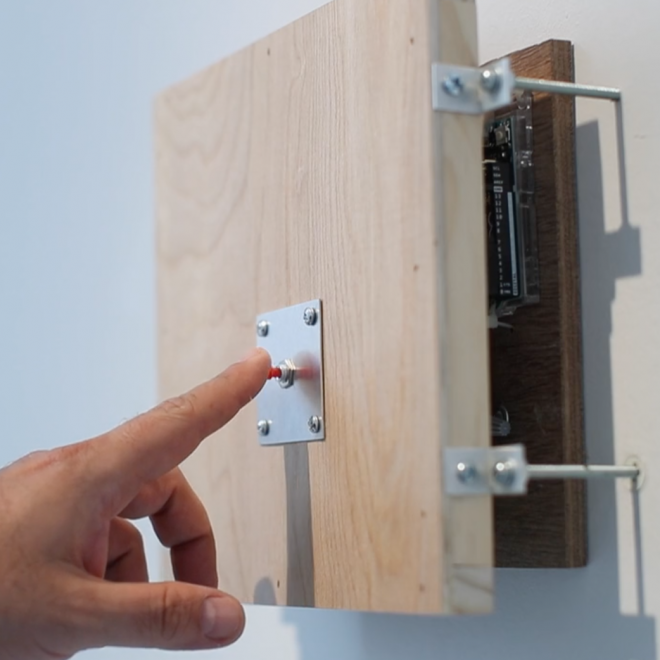 Houston Press Review of "Clockworks" and "WanderWonder"
After the silence, the viewer notices a small red button on the wall. Is it a trick? Will the music start back up on its own? Are we supposed to push the button? No, no and yes. The sculptures work together in synchronicity, playing a variable program of nine musical compositions. 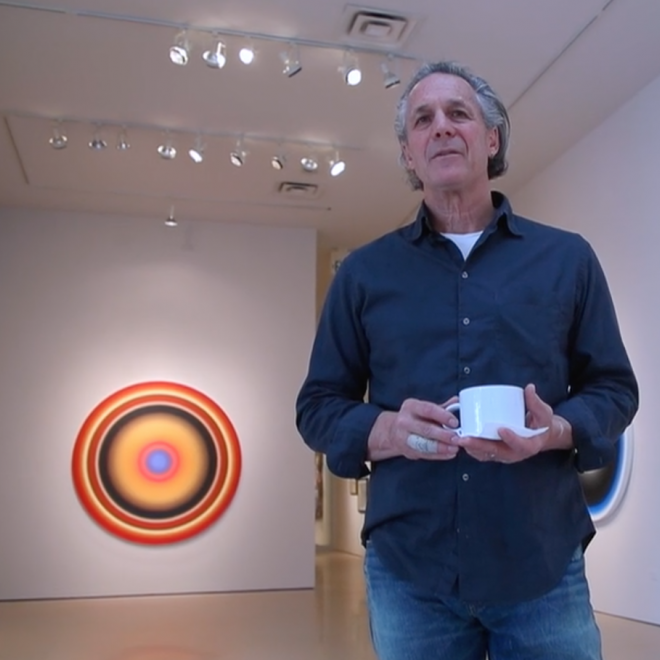 A brief introductory video from Jeff Shore | Jon Fisher's current installation, now on view in our West Gallery space. 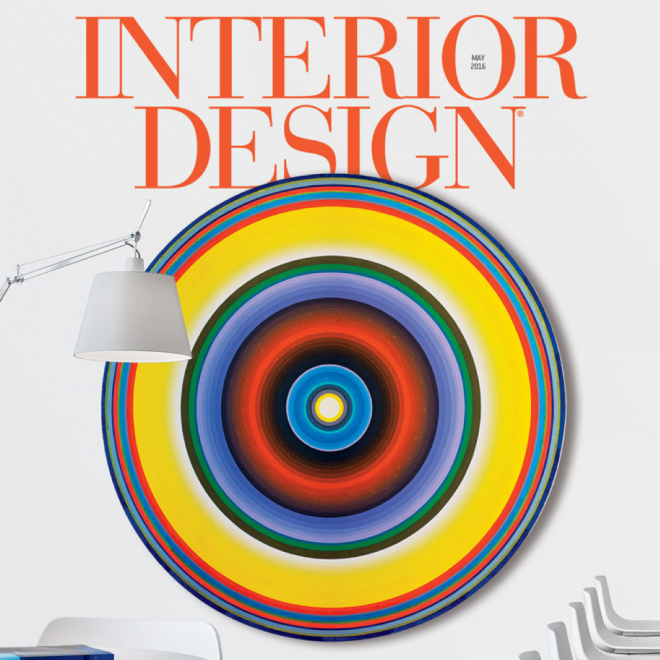 A brief selection of interiors that feature Gary Lang's optical and eye-pleasing work. 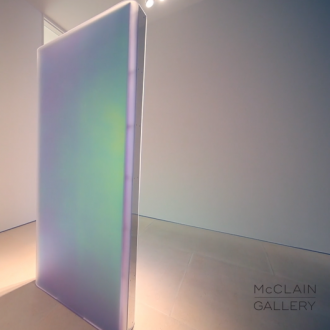 Gary Lang - McClain Gallery from McClain Gallery on Vimeo. 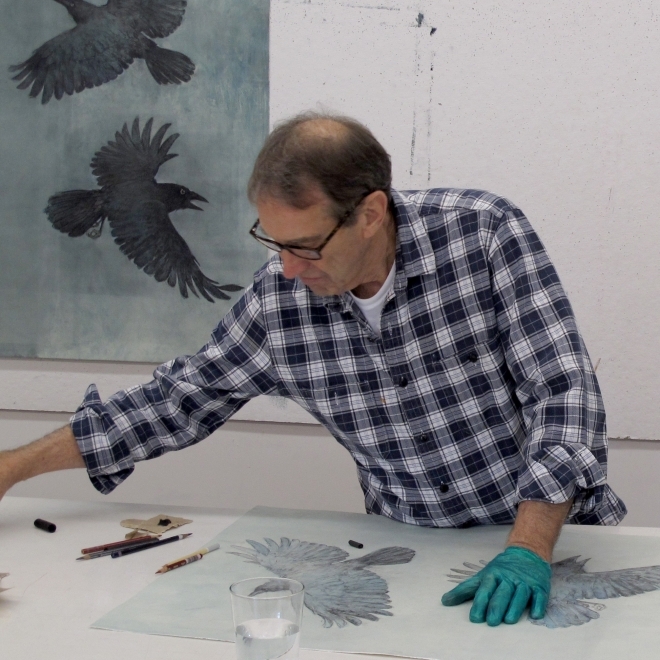 Video includes an interview with artist Gary Lang regarding his recently opened exhibition at McClain Gallery and an interview with gallery owner, Robert McClain. 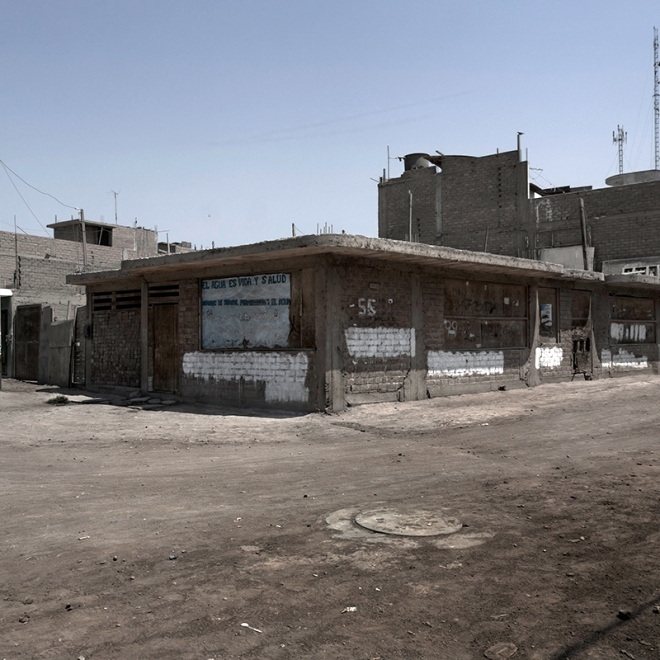 McClain Gallery 2016 FotoFest artists, Juan Jose Barboza-Gubo & Andrew Mroczek, open Virgenes de la Puerta exhibition in Chicago Friday, November 4 at Schneider Gallery. Reception from 5 - 7:30 pm. 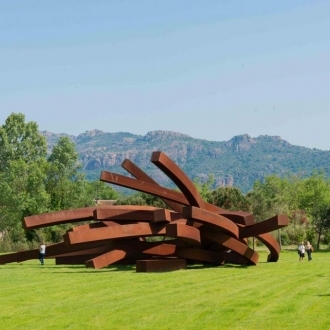 "To have such a wealth of Picassos assembled in one city at the same time offers an opportunity to revisit the creative genius who dominated the last century." 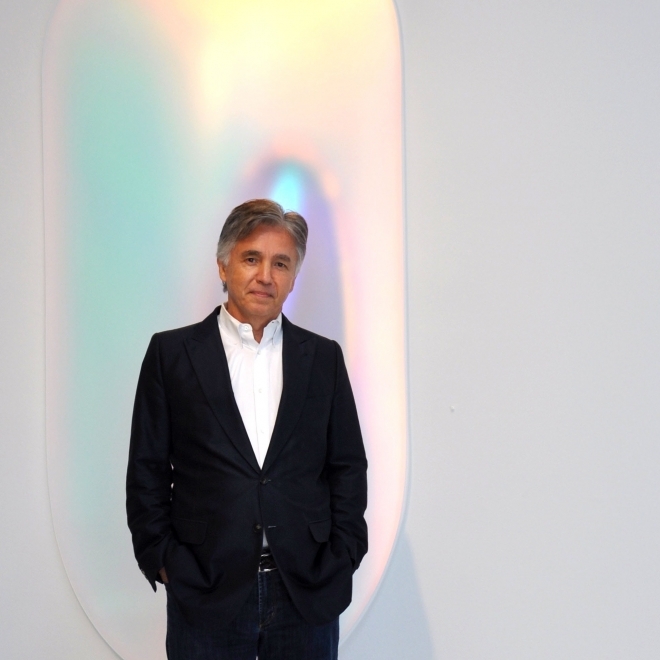 "By increasing the overall square footage, Vitol now has more space, too, to display its sizable art collection—which Loya, like his predecessor, has curated during his tenure. 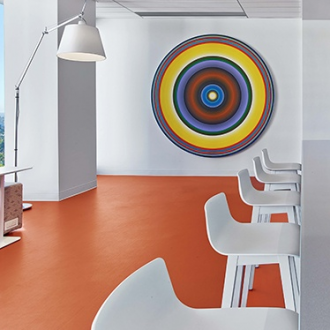 Large, vibrant paintings and eye-catching sculptures throughout the black-and-white office lend an almost museumlike quality to the space. 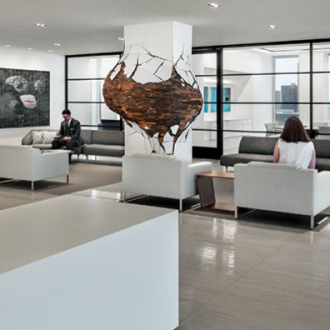 Feeling Material XII, a tornado of steel wire by British sculptor Antony Gormley, hovers over a corner of the trading floor, while Irruption, by Henrique Oliveira, seems to grow out of a column in the lobby. 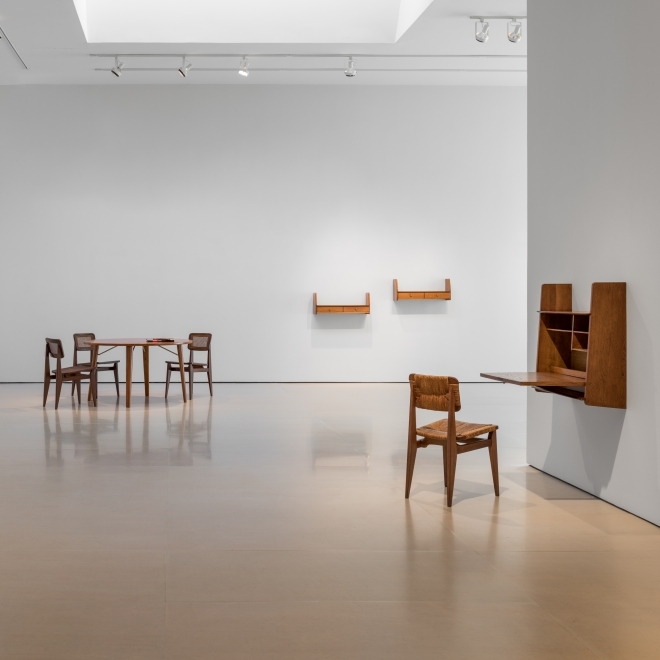 Loya commissioned this plywood and tree-bark sculpture from the São Paulo–based artist, who installed it as construction of the interior went on around him." 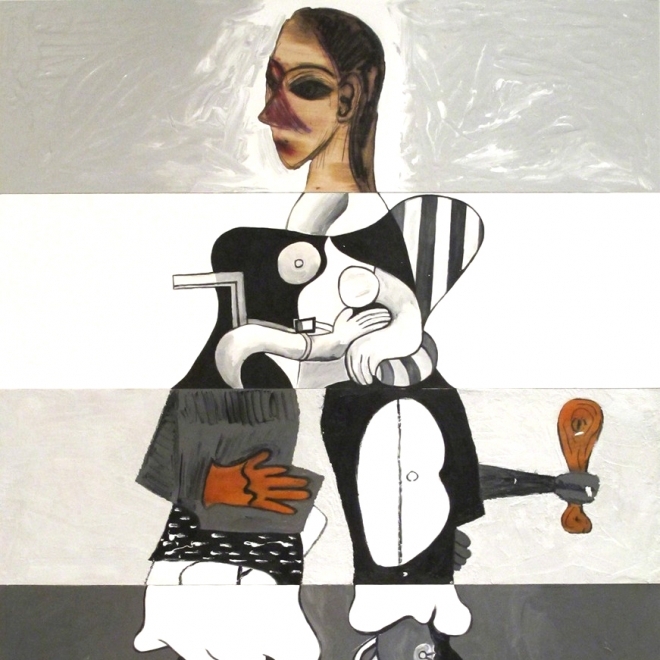 Lea Weingarten, alongside gallerist Robert McClain, offers an overview of Imagining Backwards: Seven Decades Of Picasso Master Prints, on view at McClain Gallery through Oct. 29. 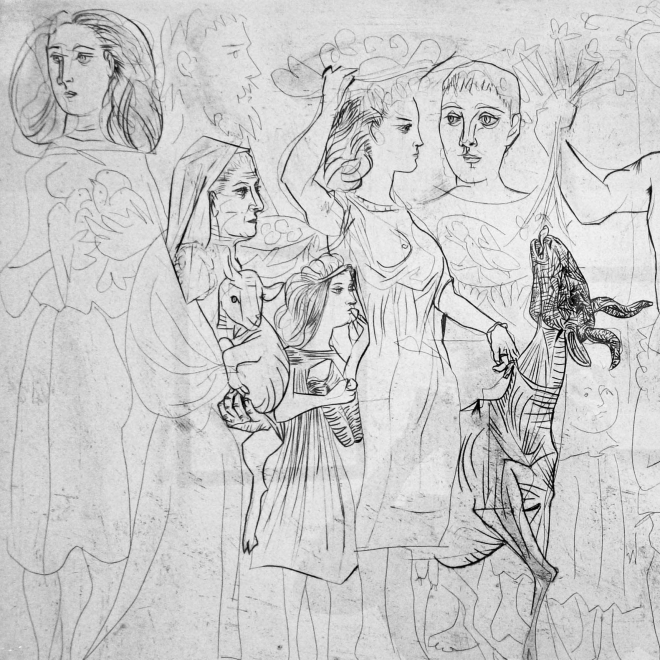 The artwork dates from 1905 to 1970, with an emphasis on the 1920s and 1930s. 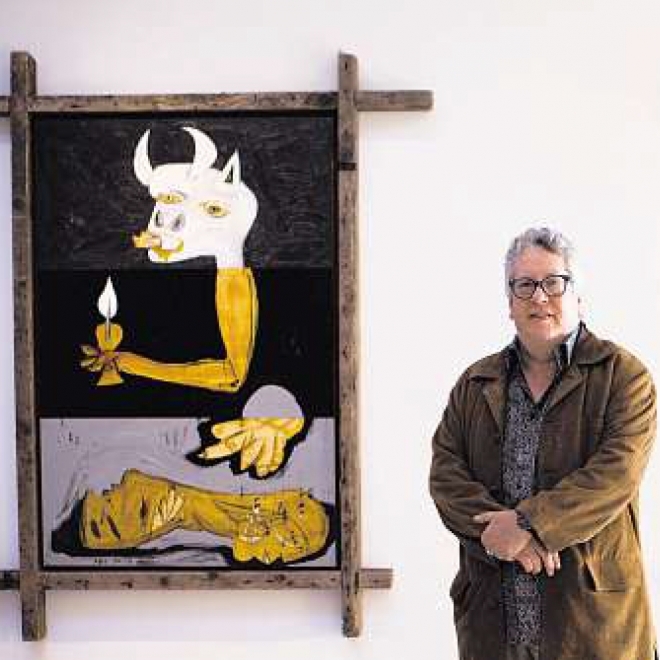 "McClain usually concentrates on more contemporary art for his gallery on Richmond, but he has been quietly engaged with an international network of Picasso scholars and dealers for about a decade, ever since one of his clients - a major Houston collector - began acquiring modern masterpieces." 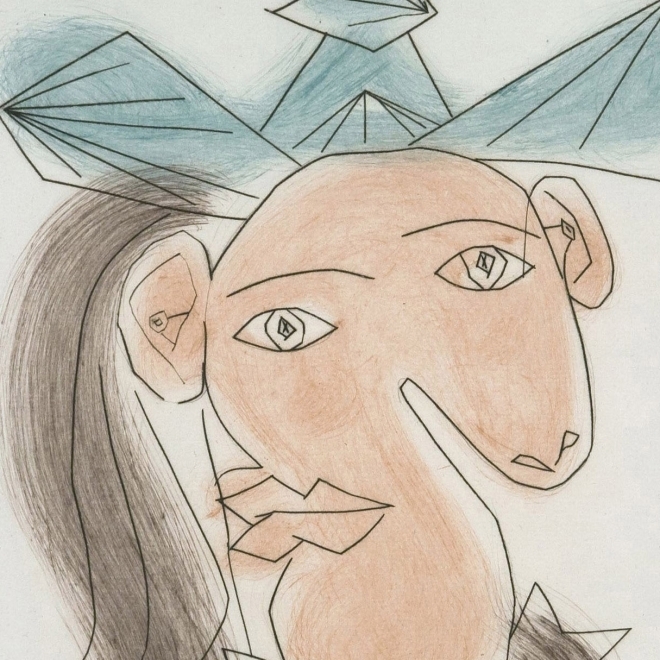 "Heads are turning this fall for Pablo Picasso." 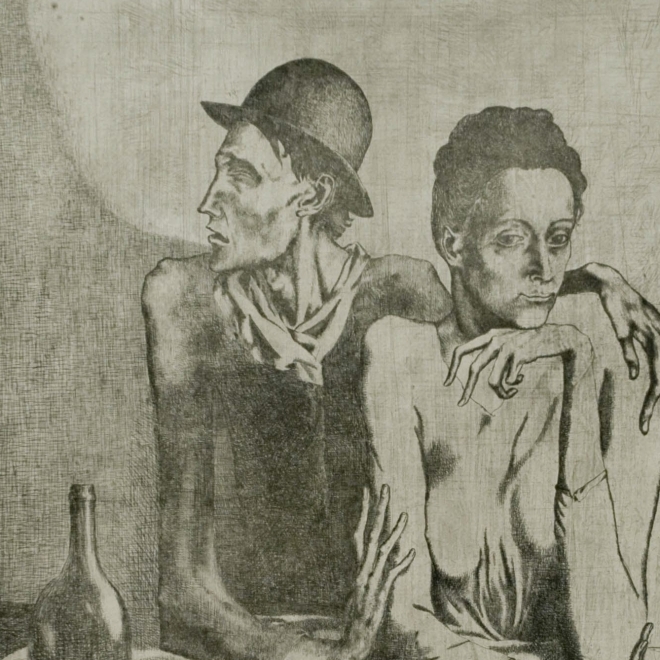 "Picasso, the Prodigious Printmaker, Arrives at McClain Gallery in Houston." 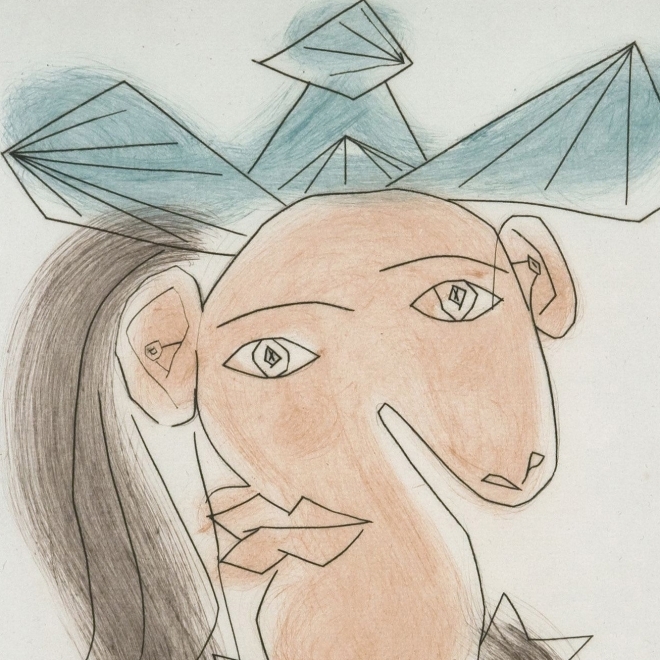 Houston Press Coverage of "Imagining Backwards"
"Pablo Picasso loved women — some of his wives and girlfriends might have said a little too much — and so it comes as no surprise that many of his works were inspired by his feminine muses." 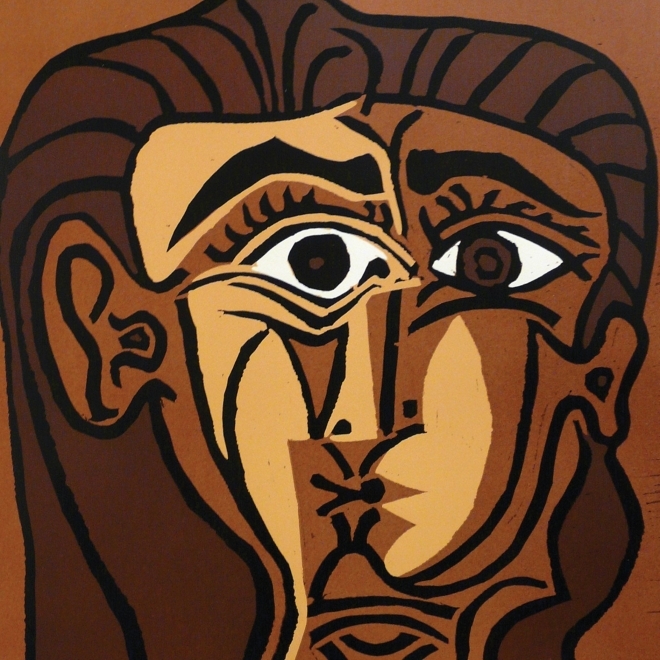 "The show explores Picasso’s printmaking techniques and provides a survey of portraits of his most famous muses. 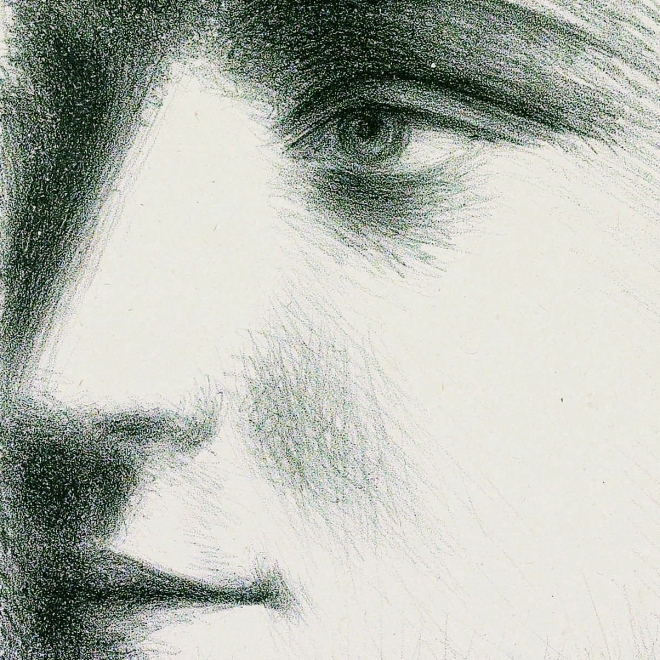 These female portraits also reflect various artistic styles, from realist to cubist to surrealist." 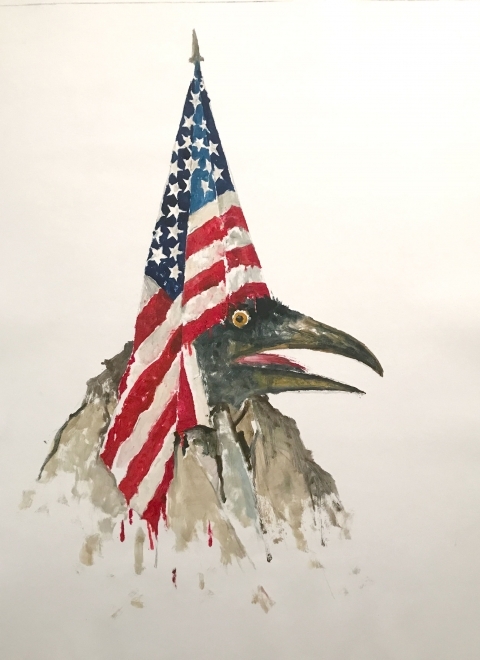 "The show explores printmaking techniques ranging from color aquatint and linocuts to lithographs, drypoint, engraving, and etching." 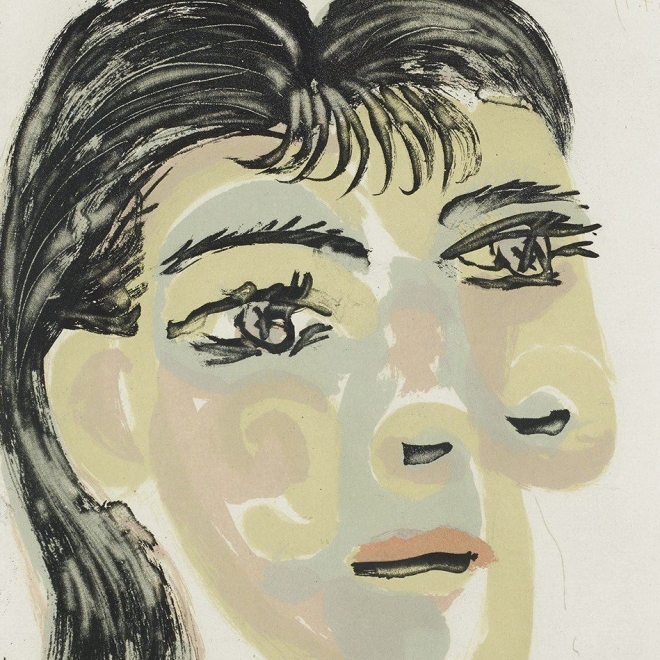 "McClain Gallery's Imagining Backwards: Seven Decades of Picasso Master Prints, is a profound retrospective of the iconic artist's life and career, brought to Houston for the first time." 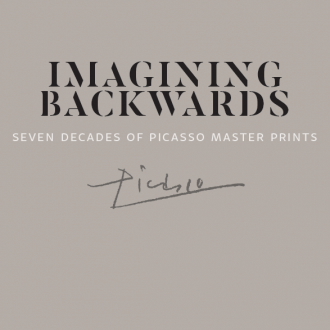 Imagining Backwards: Seven Decades of Picasso Master Prints Exhibition Catalog now available to view online here. 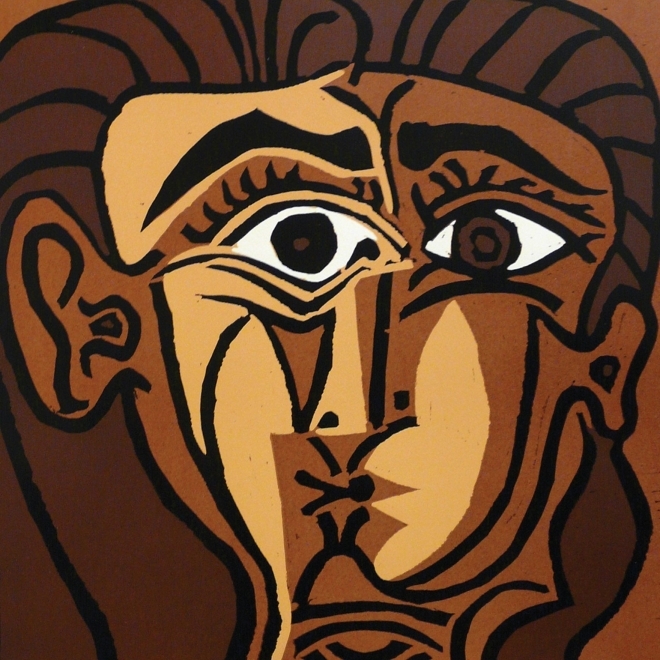 Catalog includes essays by renown Picasso scholar, Charles Stuckey and a foreword by MFAH Director, Gary Tinterow. Learn more about the upcoming exhibition here. 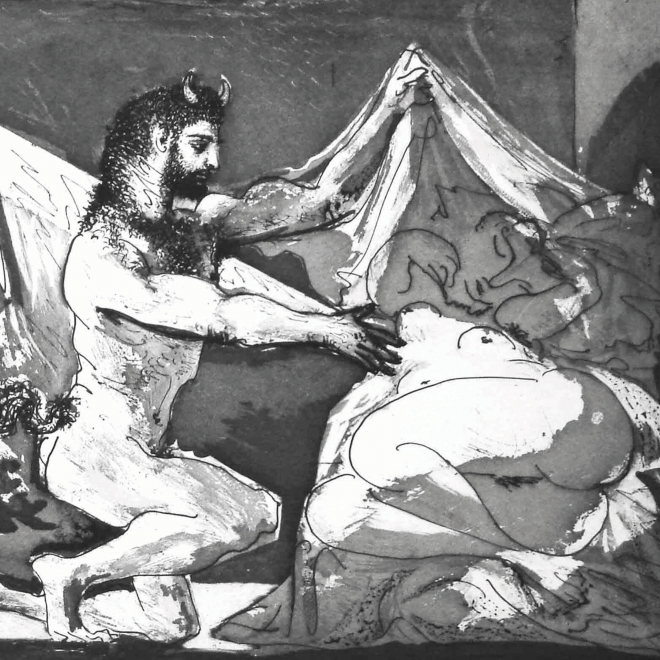 "Nearby, McClain Gallery also joins the Picasso convo, opening its own exhibit Sept. 13. 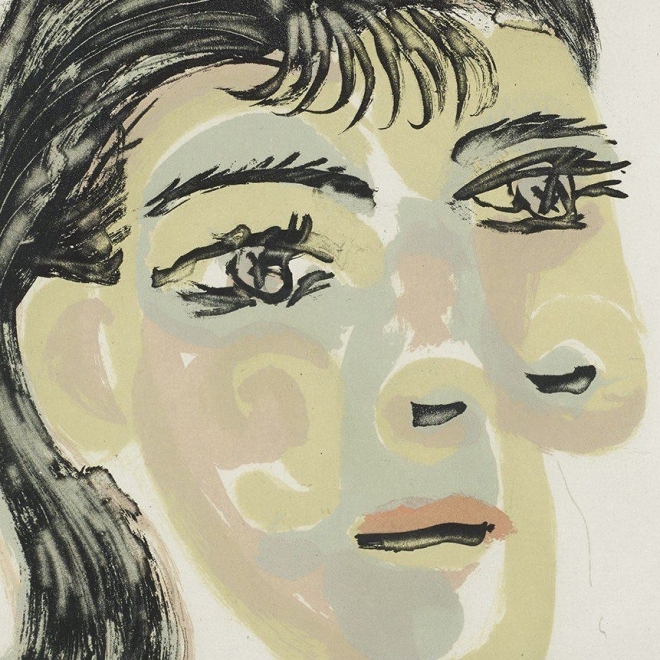 More than 50 prints complement the Menil show by exploring yet another technique mastered by the iconic artist." Imagining Backwards is number 1 on LOCAL's must-see exhibits list for the month of September. 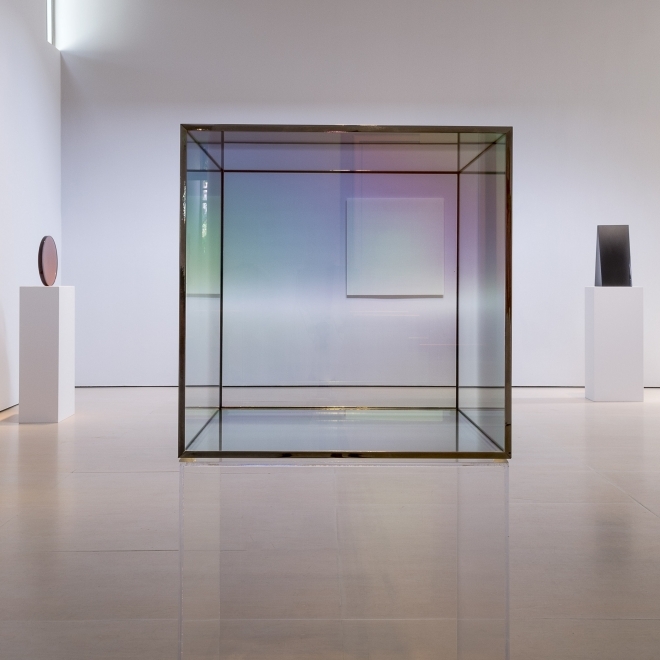 Radiant Space at McClain Gallery recalls the Light and Space artists from the 1960's - some of whom are present here - and reminds us why that work is optimistic and timeless. 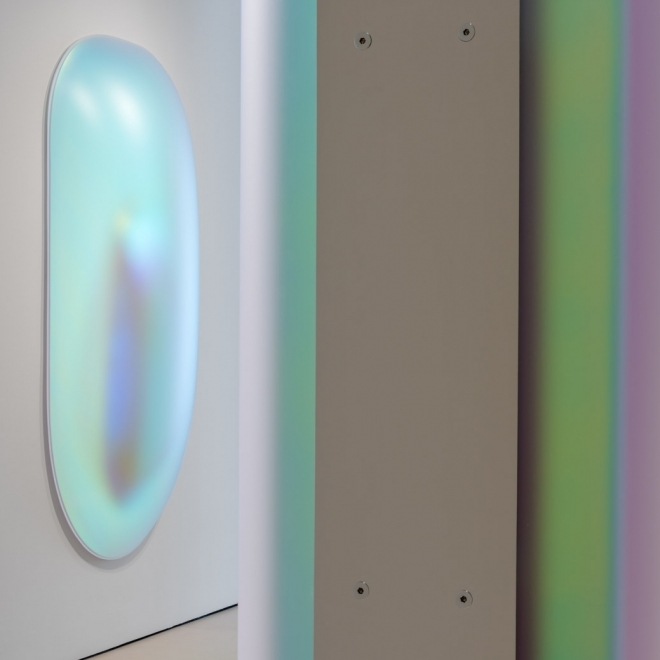 It’s easy to lose yourself in “Radiant Space,” an exhibition of otherworldly, minimalistic works currently on view at McClain Gallery in Houston. The multigenerational show amounts to something like an elaborate exercise in the phenomenology of perception and sensation. Experiencing this exhibition is both visually stimulating and emotionally satisfying. Radiant Space artist, Gisela Colon will be taking over our social media feeds this week. She will be giving us an exclusive look into her studio and creative process. Be sure to follow us on Twitter, Instagram, and Facebook. In the pantry, stools by Wolfgang C.R. Mezger line up near an acrylic on canvas by Gary Lang. 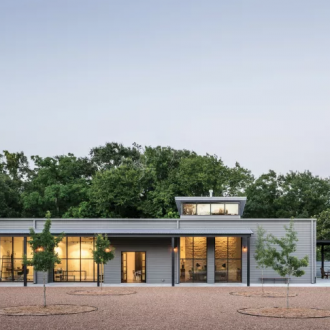 The three main blue-chip galleries in Houston - Texas Gallery, Hiram Butler Gallery, and McClain Gallery - are commited to discovering and promoting local art-makers as well. 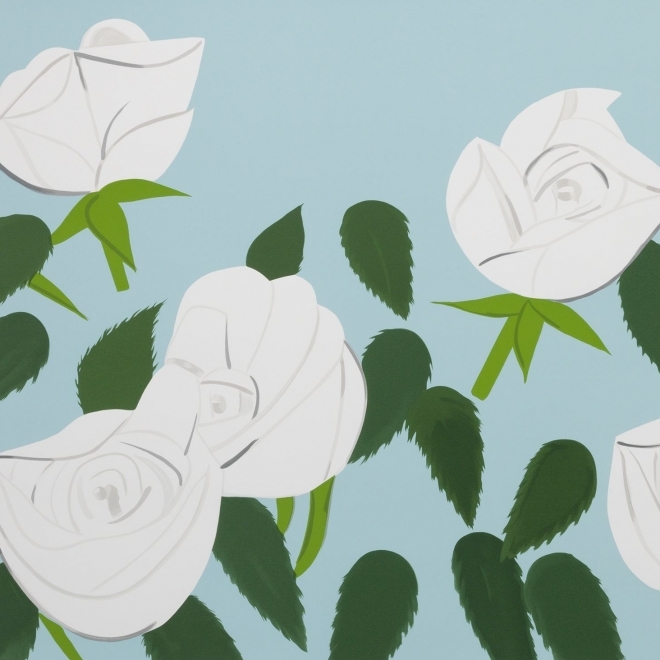 Elle Decor's Scene & Heard: "Texas Two Step"
From Picasso to Julian Opie, Robert McClain has one of the best selections of art on the planet. On one hand, it’s a celebration of Peru and its people, landscapes, and traditions. On the other, it’s a scathing critique of the country’s alarming disregard for LGBT rights. 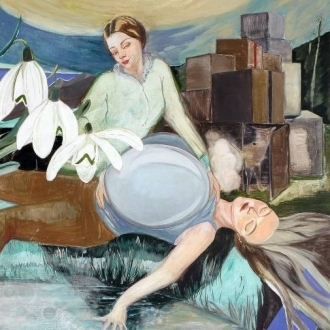 Rosa Loy was one of the few female members of post-reuniﬁcation Germany's New Leipzig School, but her paintings are 100 percent woman. Papercity Magazine Feature of "Canon: Photographs by Juan Jose Barboza-Gubo & Andrew Mroczek"
Finally, kudos to McClain Gallery for presenting the unflinching, brave work of Juan Jose Barboza-Gubo & Andrew Mroczek, in a look at the Peruvian LGBTQ community, images powerful, lyrical and intensely topical (through May 14). 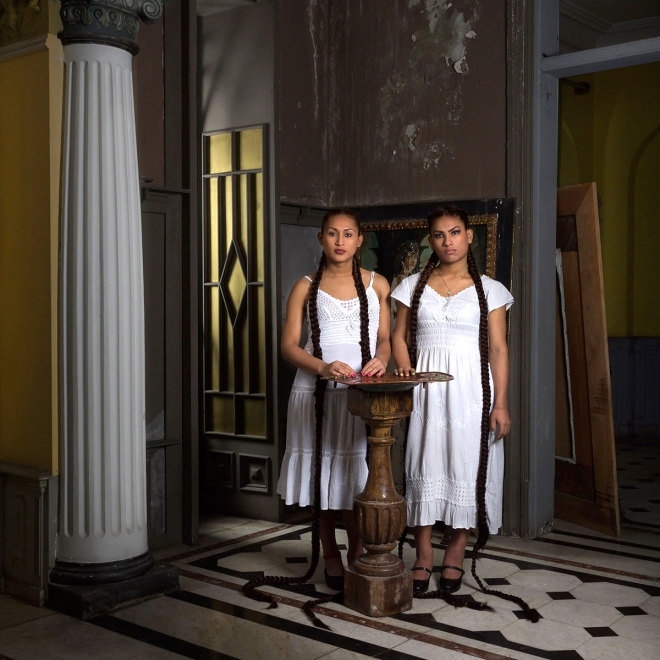 This powerful exhibition of photographs promotes awareness of violence against lesbian, gay, bisexual and transgender communities around the world. Virgenes de la Puerta también presenta a Lucha, quién al sostener una bandera muestra el orgullo que siente por su país, a pesar de que este no la acepta como es. Artsy Editorial of Ray Smith's "Unguernica"
Searing, fragmented bodies and faces from Picasso’s Guernica are recreated in Smith’s 'Unguernica' series, his response to the government’s unsettling and ironic act. 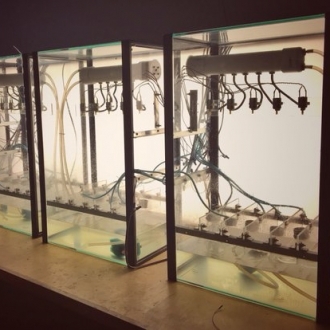 With Shore as the sculptor and Fisher the sound artist, their collaborations usually end up as Tinguely-esque contraptions emanating ominous tones. 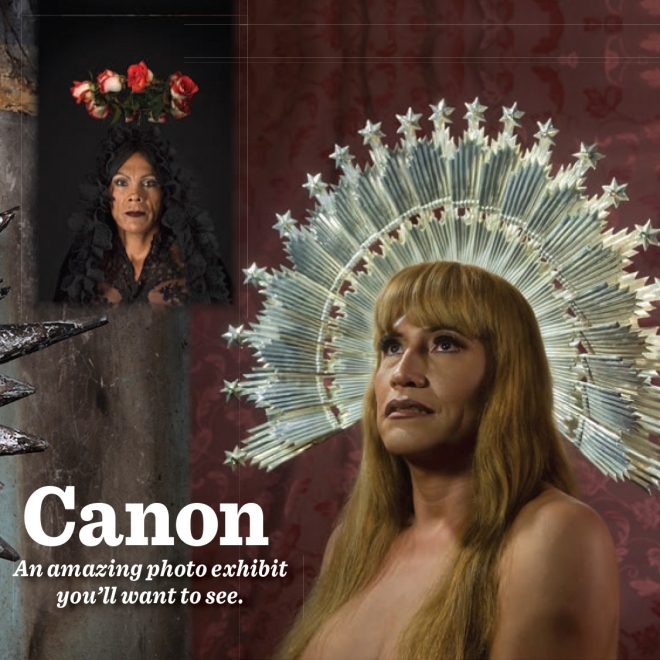 Houston Press Review of "Canon: Photographs by Juan Jose Barboza-Gubo & Andrew Mroczek"
Fast-forward many years and academic degrees later to the man, now an artist with years of teaching experience, who has found a way to return dignity to these fringe dwellers of Lima’s society in the 'Canon' exhibit at McClain Gallery. 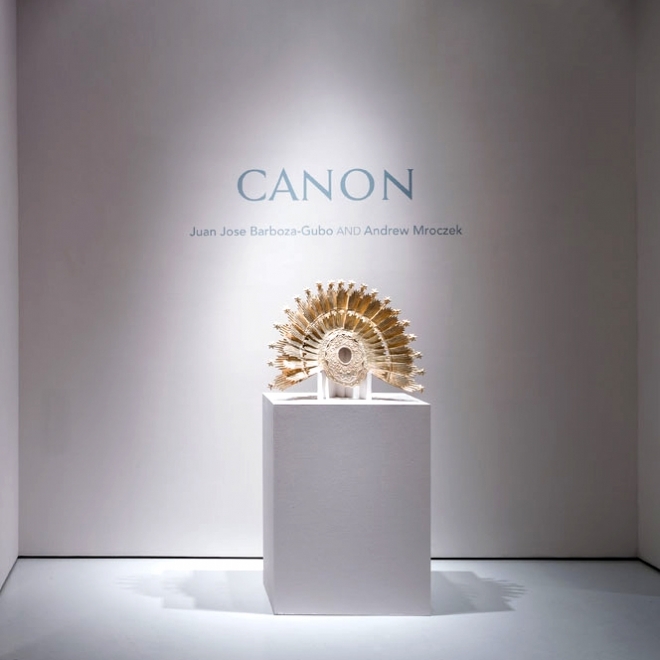 Advocate Article Featuring "Canon: Photographs by Juan Jose Barboza-Gubo & Andrew Mroczek"
Canon is an exhibition comprising two series of photographs by collaborative artists Juan Jose Barboza-Gubo and Andrew Mroczek. 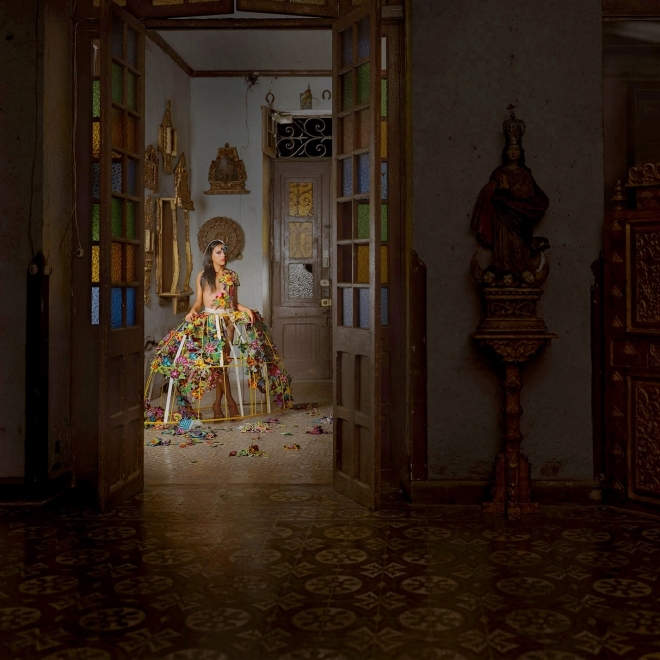 The work is both a celebration of LGBT Peruvians and a reaction to the ongoing violence they face. One wonders, what would it have been like if Picasso and Warhol had each been of the same generation? So it's left for contemporary painters to riff on their legacy. Cue Ray Smith and Travis K. Schwab. 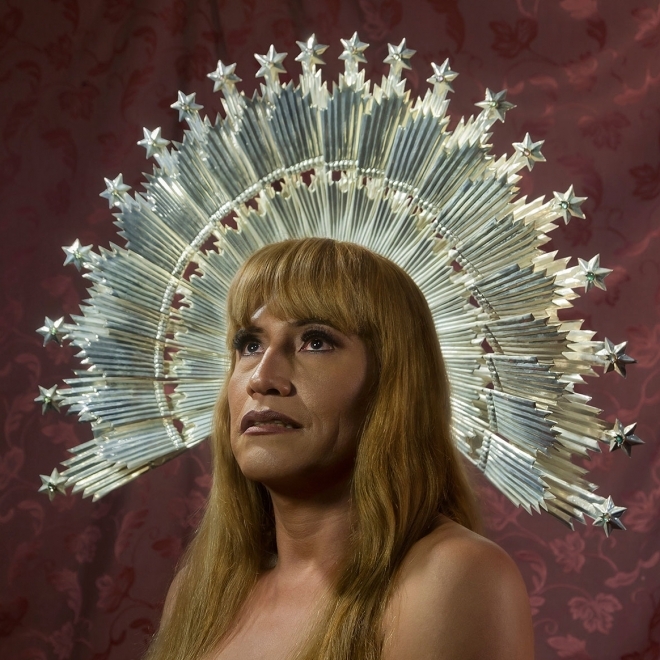 OutSmart Magazine Feature of "Canon: Photographs by Juan Jose Barboza-Gubo & Andrew Mroczek"
The work of Juan Jose Barboza-Gubo and Andrew Mroczek is both a celebration of the Peruvian LGBTQ community and a reaction to the ongoing violence they face. 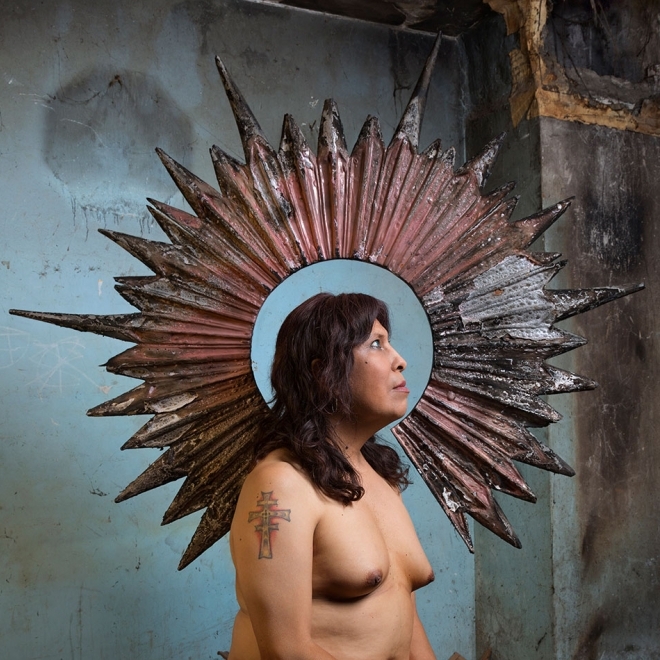 LENSCRATCH Review of "Canon: Photographs by Juan Jose Barboza-Gubo & Andrew Mroczek"
With these projects, the artists hope to increase dialog and promote awareness and positive change for LGBTQ communities, especially in Peru. La Voz De Review of Ray Smith's "Unguernica"
La exposicion en si misma, dice Smith, no tiene el proposito de plan­tear una postura politica, pero si quiere provocar en el espectador una re­flexion sobre la violencia, la intolerancia y la guerra. 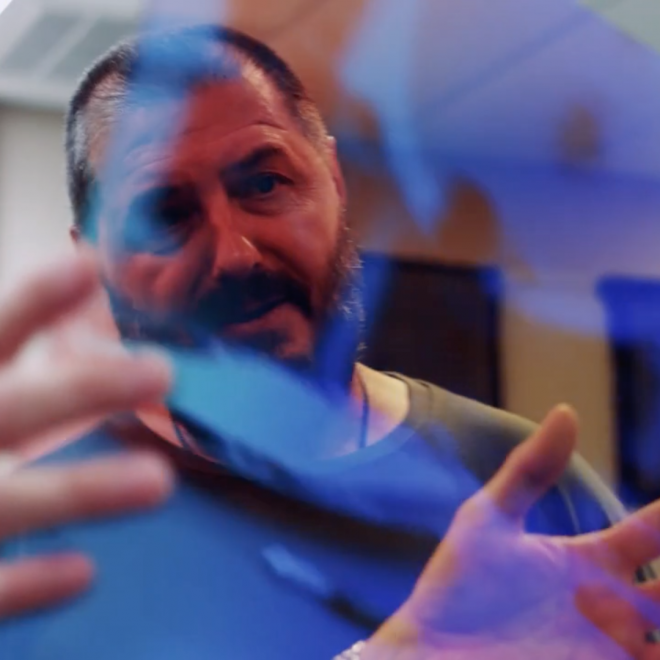 Video featuring artwork from gallery artists Christian Eckart and Henrique Oliveira.